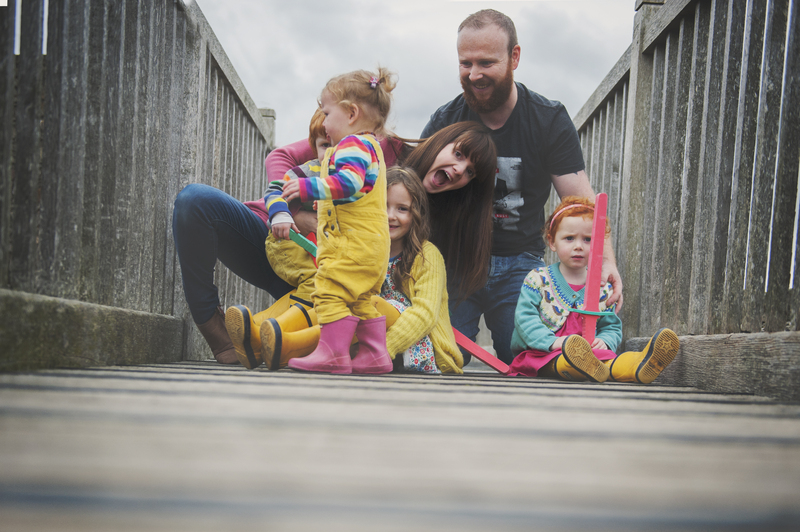 My Little Wildlings | A Day in the Life with Lucy, photographic journal blog. It’s 6:14am on a wet and miserable Saturday morning. I can hear you calling me from the other room so I swing my warm legs out of bed into the cold air. I remembered halfway to your room I was shooting a DITL with Hello Archie so run back and grab my camera, then come get you from your cot. You instantly start to cry when you see me, almost as sort of relief that I hadn’t forgotten about you. The house is quiet and still as the birds are singing despite the rain. I scoop you up into my arms and smell your little neck through thick matted curls. I love when you are still sleepy, its when you hug the hardest. Your chubby little arms fit around my neck and you squeeze so tightly. The first thing you ask for each morning is a spoon as you follow me to the fridge and pull out 6 little yoghurts. You would eat them all if I would let you. You wanted to see the dinosaurs and the bubbles. So, the only place I know we could see some of those was the National Museum. It’s full of magic, lights and buttons for you to push without you getting into any trouble. You couldn’t wait to hop on the train and get exploring. Choosing your seat on the packed train car, you squished in beside a family at a table, you kicked off your shoes and made yourself at home. I stupidly took the push chair forgetting how independent you are. I spent my time pushing it behind you as you led the way around town. It was strange not having the others to chase and contain and even though you walk at the slowest pace you can without stopping, we still made it to the museum in record time. We wandered without having anywhere to go & no time restrictions, we didn’t have to compromise on what exhibits we would see first and wandered freely floor to floor, wherever took your fancy. You adore the animals and wandered past saying hello to each one, until we made it through to the dark corner filled with lights from the stars and milky ways. You ran your fingers along the constellations as you wandered along the walls. It was gloomy for what felt like the entire day, but Edinburgh almost looks prettier in the dreich weather. Atmospheric and full of so much character. We stood on the museum rooftop and watched the tiny people walk below. People watching is one of my favorite things to do and is slowly becoming one of yours. Sometimes we make up stories and little scripts when we see an embrace in the street. We chat about where they might be going, or where they could have been. If they are on holiday or simply commuting to work, or home. When we are with the others we have to avoid anywhere with Dairy, which is tough in the summer months. Mary’s Milk bar has queues for days and has often run out of the best flavours by lunch. What better day than a grey one to go for a treat. You got the lady behind the counter to let you taste a few and you settled on Honey & Lavender, and it tasted every bit as delicious as it sounds. We sat and people watched in the Grassmarket, as I tried to share my ice cream. And I regretted not buying two. The day was filled with giggles and pigeon chasing. And I got to just stop. Stop and watch the way that one curl that falls infront of you face bounces when you toddle along the street. How your little cheeks puff up when you smile and how your eyes sparkle when you look at me, like I am the most wonderful Mama in the world. I got to see people swoon over how adorable you are as you waddled on past. I got to see you be the best version of you, the version others see. When there was no one else around to compete with, when there was no one to share my attention with. Sometimes being a human is hard, sometimes its messy and sometimes remembering what its like to see you with fresh eyes makes the whole world make some sort of sense. Never ever change. I adore the work of Kaye, from Hello Archie and her post are always so honest and filled with the most beautiful photographs, she’s a bit of a master at a DITL. You can pop HERE and see her gorgeous post too. I am so lucky to have such an inspiring group of women around me, that continue to make me want to push myself creatively. I’d LOVE to shoot a DITL every month, i’d love to be better at it and a little more creative with it. I hope you enjoy it and head over and see the lovely Kaye’s too.